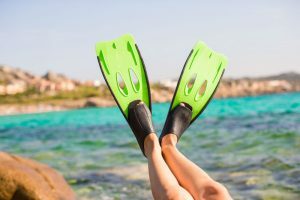 Wetsuits are incredibly important for water activities, but it can be difficult to spot the difference between a good wetsuit and a terrible one. There are a lot of different factors to consider, including abrasion-resistance, sizing and neoprene thickness. Today we are going to be reviewing the best women’s scuba wetsuit of 2018 to help you pick the right wetsuit for your needs. This unisex wetsuit has been brought to us by Seavenger, a company that is known to produce some of the best wetsuits, water booties and assorted pieces of underwater apparel that you can find on the internet. This particular product stands out because of how well it holds up in the water and the different features that it can offer to the wearer. The Seavenger Neoprene Wetsuit contains neoprene that measures in at 3mm. Neoprene is one of the most important materials that is used during the wetsuit manufacturing process because it is responsible for keeping you insulated while wearing a wetsuit. It feels like a type of foam rubber and it contains tiny gas bubbles of nitrogen that help to keep warm air trapped against your body. This makes it perfect for cold water wear, but 3mm of neoprene would not be thick enough to handle freezing water temperatures. One thing that you do have to be aware of is the fact that you lose flexibility as you gain neoprene thickness. 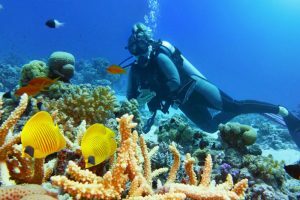 It also makes your wetsuit more buoyant, which is why a lot of divers have to use weights to get beneath and stay beneath the surface of the water. One thing that you definitely have to consider is the fact that this wetsuit is highly durable and it will last for a long time with the proper care, meaning that you should never throw it in a washing machine or a dryer. It contains an anti-abrasion material on both the shoulders and the kneepads that offer the wetsuit an additional layer of strength because of how difficult the material is to rip, even if it does get snagged on something. Another feature that you should look at closely is the flatlock stitching that is present on this Seavenger wetsuit. Flatlock stitching is important because it makes it highly unlikely that the seams will rub against your body. When seams do rub against your body in the water it begins to cause chafing and severe irritation. This full-length wetsuit has been brought to us by a company called Realon. Realon specializes in manufacturing products that have been made for use on the water and they are actually a good option for people who are on a budget. Their products are affordable, but they do not include some of the high-end features that can be found on more expensive alternatives. The Realon Women’s Full Wetsuit is suitable for use in relatively cold water because it contains approximately 3mm of neoprene. The thickness of neoprene in a wetsuit directly relates to the temperature of water that it can withstand. 3mm of neoprene would be suitable for use in relatively cold water, but it would not be suitable for use in freezing cold water. This wetsuit also contains the same type of stitching that we can see on the Seavenger Neoprene Wetsuit. Flatlock stitching is important because it will not begin to rub and irritate the body. 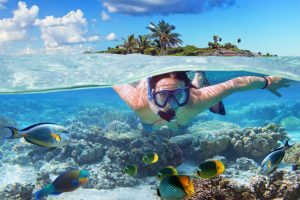 If you are someone who likes to spend a lot of time in the water, then you need to make sure that you do not suffer from this type of irritation because it would quickly cut your trip short. Another important factor that we can see when we take a look at this wetsuit is the fact that it has been designed to protect the wearer from more than just the cold. 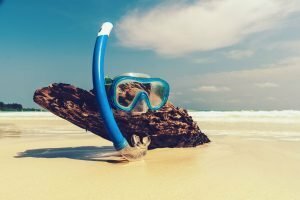 It also offers some protection from the sun, sea lice, jellyfish and an array of different biological irritants that could be present in the water that you are having fun in. This is a rather special wetsuit because Dark Lightning brought us it as a new design at the start of this year. They intended on making a new wetsuit that would be suitable for use with multiple different types of water sports when they manufactured this product and you can see that reflected in the overall design of the wetsuit. One of the first things that we noticed about the Dark Lightning Full Wetsuit was the fact that it includes an extra-long back zipper. This is important when it comes to practicality because it makes it easy to put the wetsuit on and take it off by yourself, without the need to call for an extra set of hands to help you out of your tricky predicament. 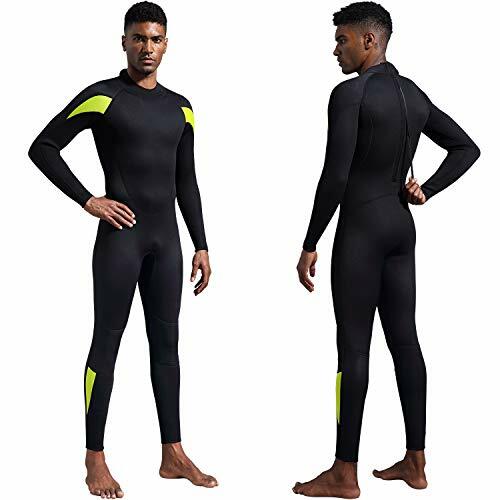 The neoprene thickness in this wetsuit is thick enough to withstand moderate temperatures, but it would not be suitable for use in exceptionally cold water. 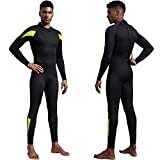 You should stick to using a wetsuit like this one in moderate temperatures and find one that contains a thicker amount of neoprene if you are looking to dive in the cold. This wetsuit is also capable of protecting the body because it includes a UPF rating of 50+. This does not mean that you should not wear sun cream while wearing this wetsuit. 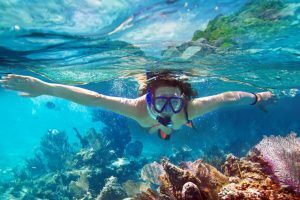 It also offers some protection from things like biological irritants and jellyfish. The Cressi Women’s Short Front Wetsuit is not a full-length wetsuit like the ones from the three reviews that you have just read. The material cuts off just above the elbows and the knees. You should never wear short front wetsuits in cold water because they have been designed for warm climates and tropical waters. Short front wetsuits like this Cressi Women’s Short Front Wetsuit are absolutely key if you are going on a tropical getaway. It is also a great option for people who live in warm areas. 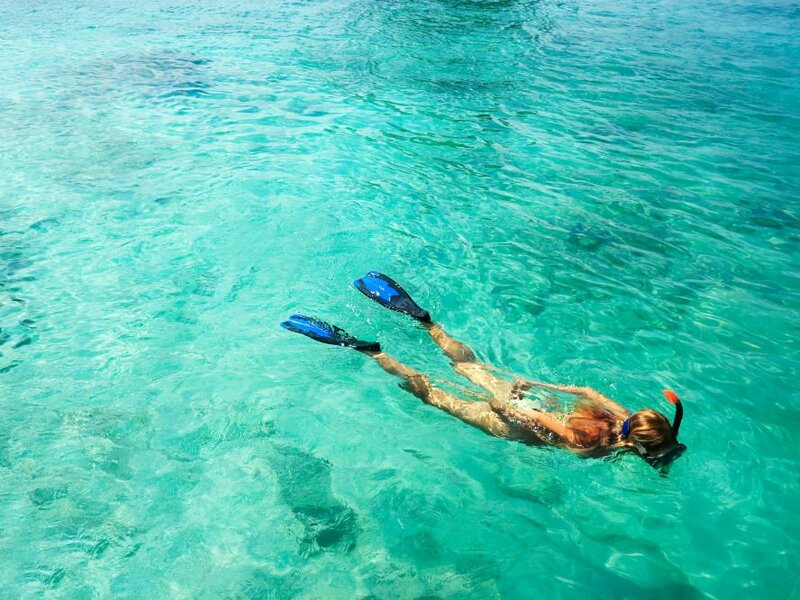 You could not get away with using a short front wetsuit in the freezing cold, but they are good for swimming, snorkelling and an array of different water sports. This wetsuit is quite practical because it features a YKK zipper down the chest. Having a zipper on your chest and not down your back makes it much easier to put a wetsuit on and take it off by yourself. This is something that everyone should take into consideration, but people who have things like joint problems would definitely benefit from a chest zip. Most of the seams on this short front wetsuit have also been glued and sewn flat so that they do not irritate your body while you are swimming. One of the main problems with wetsuits is the fact that some seams can cause chaffing and wetsuits contain a large number of seams because of the number of different panels that are present. Anatomical cuts for ensure a comfortable fit. Front-zip for make easy the donning and doffing. The zip is YKK, synonimous of quality and durability. 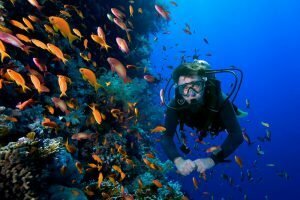 Neo Sport is a sub-brand of market-leading wetsuit manufacturers, Henderson Aquatics. Henderson is the largest manufacturer of wetsuits in the world and is credited with inventing neoprene wetsuits back in the 1970s, after developing wetsuits with the US Navy and Coast Guard. It would be fair to say that Henderson knows pretty much everything there is to know about wetsuit manufacturing, whether that be for men or women. Neo Sport is a value line of wetsuits that provide excellent thermal protection. It was introduced into Henderson’s range in the 1990s and has been a staple in the budget end of the market ever since. Neosport combines lessons learned from research and development in higher-end suits, wrapped into a value proposition. Their women's Xspan full jumpsuit is a full-length zipped wetsuit suitable for cold water diving. It is comfortable, durable, and uses the company’s Xspan 250% neoprene, which allows a 4-way stretch and movement, ensuring a comfortable and non-restrictive fit. All seams in this suit are flatlock stitched which prevents any chaffing and complements comfort. Other features improving comfort and performance are the adjustable collar to ensure a good neckline seal and contoured arms and legs which give you a maximum range of motion. The rear zipper is encased with a zipper flap to ensure water leakage is at its minimum and bonded knee pads have been fitted to the knees for abrasion resistance without restricting flexibility. Neosport recognizes the variety of fit sizes required in a female suit, and as such has made the Xspan with a range of eight sizes to ensure everyone can get a perfectly fitting suit. It is also available in two different colors: black, and black with blue trim. All Neosport wetsuits come with a manufacturer's one-year warranty. All-around this is a quality, but good value cold water full wetsuit. XSPAN TECHNOLOGY: Exclusive ultra soft material made with 4-way super stretch neoprene. 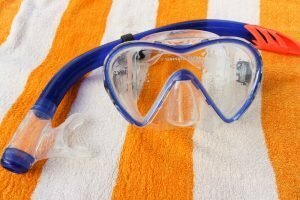 MULTI-USE: Designed for diving, paddleboarding, kiteboarding, wakeboarding, kayaking, canoeing and other water sports. DURABILITY: Spot taped at stress points and flatlock seams provide a smooth interior and exterior surface to ensure maximum comfort and reliability during dives and other water sports. In our opinion, the Seavenger Neoprene Wetsuit is the best option for female swimmers, divers, surfers, snorkelers and general water people. It is durable, sturdy and includes flatlock stitching that will not irritate your body while you are in the water. It is also made out of a material that is flexible enough to enable you to move naturally in the water without an issue.